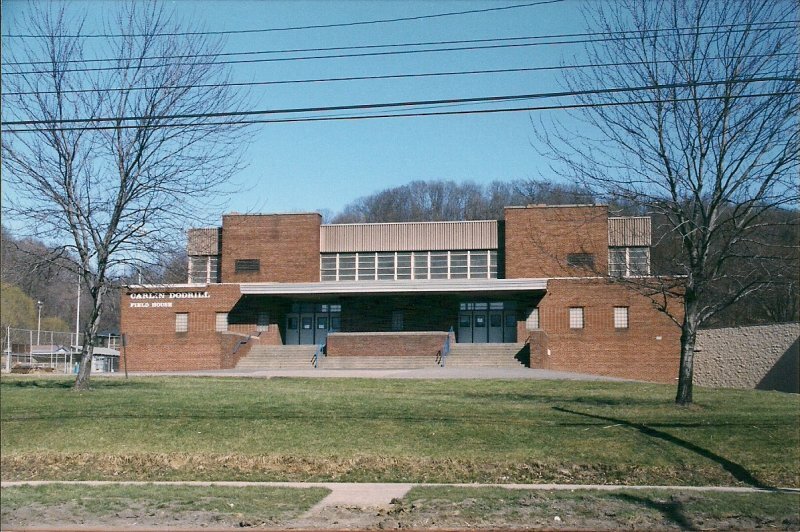 Constructed in 1955 at the location where Cyrus Ferguson’s (See Cyrus Ferguson on Timeline) home once stood, the Follansbee Field House was dedicated to Carlin F. Dodrill who served as a teacher and coach at Follansbee High School for 33 years. Dodrill graduated in the FHS class of 1931. He played on the 1929-1930 football teams. 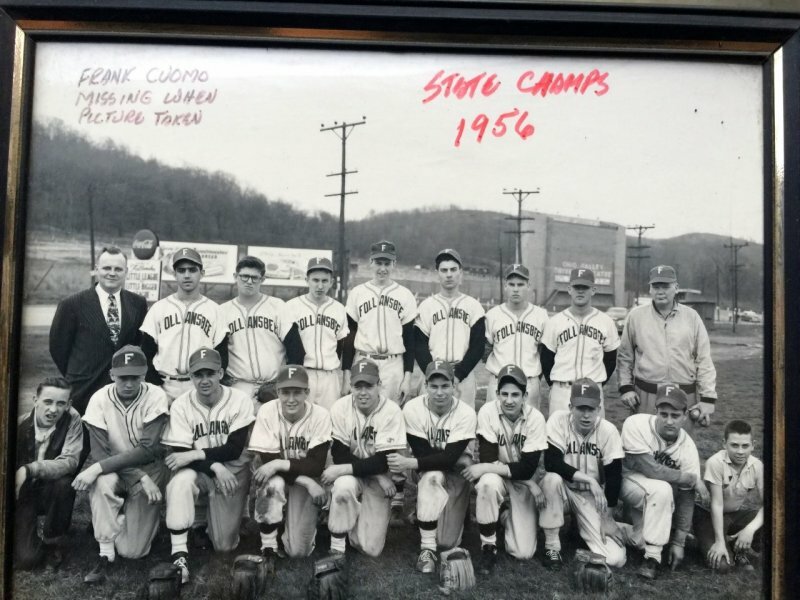 Under coach George Roark, he played center position for the 1929 Follansbee team that was undefeated until the last game against Wellsburg. Carlin Dodrill attended West Liberty State College where he participated in three sports, including the football squad. He graduated in 1935. After briefly working at Weirton Steel, he returned to Follansbee High and began a career in teacher and coaching. 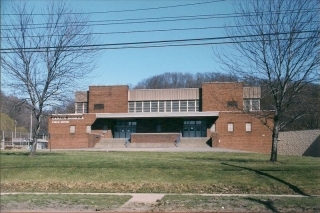 Except for the interruption of World War II, his tenure at FHS extended from 1936-1969. 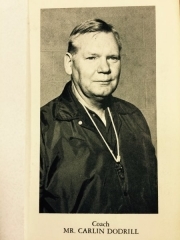 He served as assistant Blue Wave football coach from 1946-1963, head basketball coach from 1946-1969 and assistant basketball coach from 1962-1969. Carlin was also head baseball coach from 1950-1969. 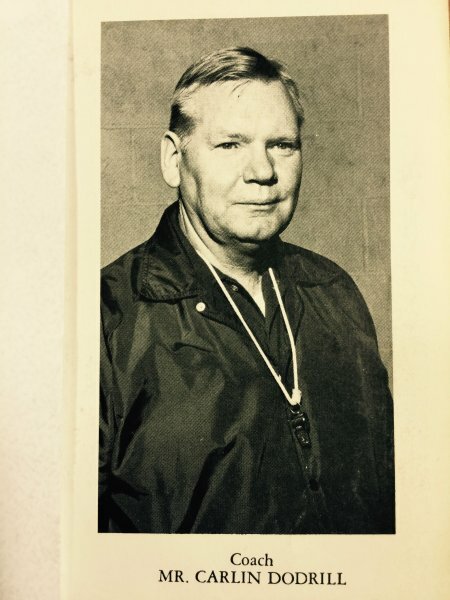 In 1969 when Follansbee was consolidated with Wellsburg and Bethany high schools to create Brooke High School, he quit coaching to became the athletic director at the newly consolidated Brooke High. He retired in 1972. Dodrill served in the Army Air Corps during World War II. He was a member of the Follansbee United Methodists Church. Carlin co-authored, “West Virginia Centennial Celebration,1863-1963 Brooke County,” published by the Follansbee Review Press. In 1982 he wrote the History of the Cedar Lodge (See “Cedar Lodge” on Timeline). He was inducted into the West Liberty University Hall of Fame in 1987. Carlin was born on 9-24-1912 and died at the age of 87 on 2-13-2000. He is buried in Oak Grove Cemetery, located in Follansbee. For thousands of Follansbee High graduates, Carlin Dodrill is remembered with admiration and respect. 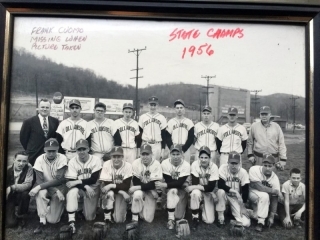 Carlin Dodrill’s 1956 FHS State Champs.